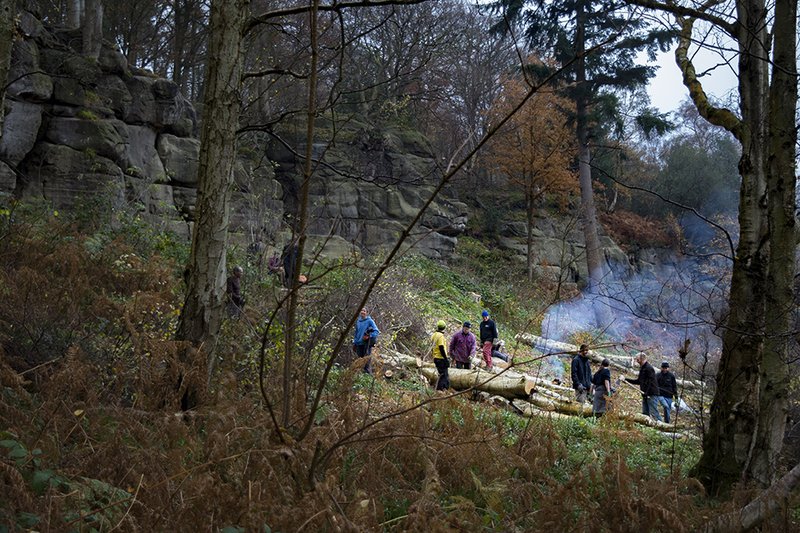 The Sandstone Volunteers’ Group and HRMG would like your help with the planned work at Harrison’s Rocks on Saturday 11th and Sunday 12th November 2017. Work will include clearing the arisings from the cuttings, moving trunks to habitat piles or where they are required for revetment work and lining footpaths with brash. 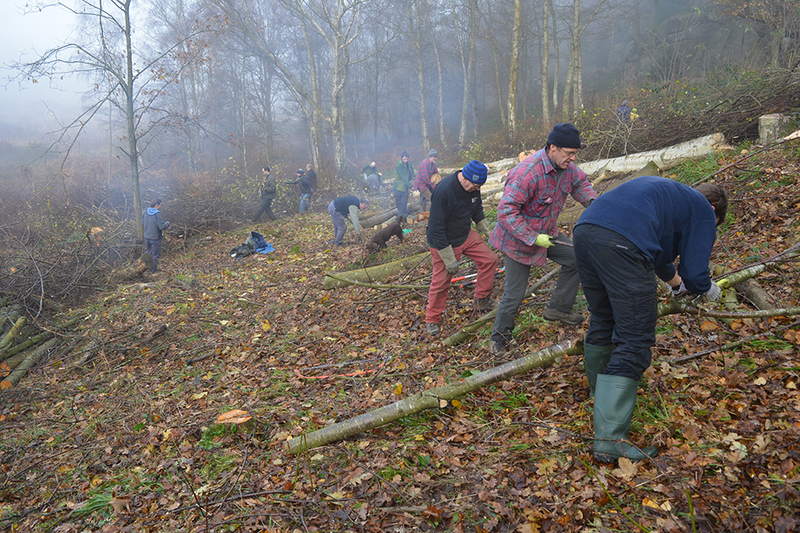 Other work includes cutting back sycamore and birch saplings that have re-grown in areas cut in previous years. Bowsaws, loppers, pruners will all come in handy. The plan is to meet at Harrison's car park at 9.30am. If you cannot get there that early then head to compartment F shown on the map, which is more commonly known as Unclimbed Wall Area. Wear warm old clothing that you do not mind getting dirty, waterproof boots, gardening gloves and bring any cutting or digging tools you may have. 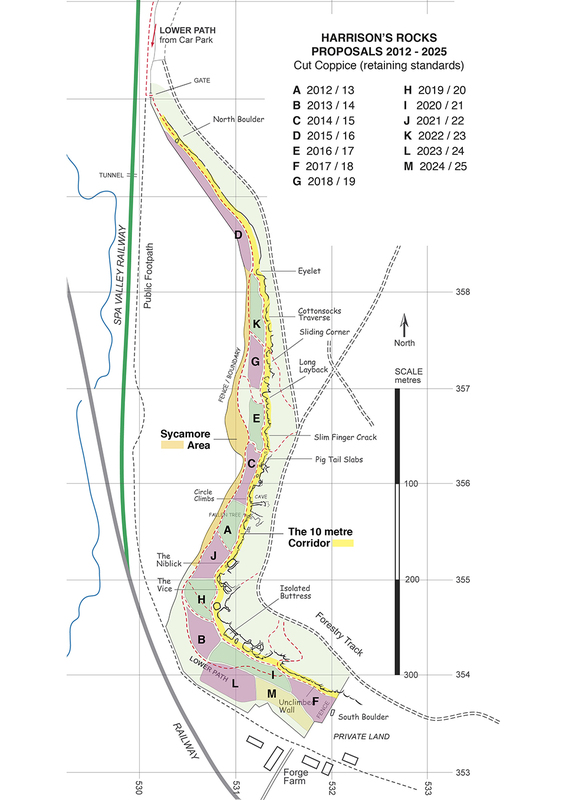 The SVG will also be carrying out some work at Bull’s Hollow and most likely High Rocks. There may well be other initiatives – watch this space.